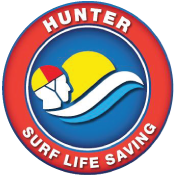 Hunter Branch Surf Lifesaving is now calling for Casual Surf Education Instructors (paid positions) to facilitate our summer school and beach programs. Our Beach Awareness Program is designed for children from pre-school age, the Surf Fun Safe programs for primary school and Surf Survival for Secondary schools to increase the importance of staying safe at the beach. Our key program “Surf Fun Safe” promotes student participation in a beach environment. The Hunter Branch requires casual Surf Education Instructors from October 2018 (Term 4) and for Programs from February to March (Term 1) 2019. Copies of two (2) recent references from previous employers or referees should be included – if you are a returning staff member this is not essential. Demonstrate ability to carry out safety procedures and use appropriate safety equipment. Employment screening is required in accordance with Current Working With Children Check – WWC number is required if over 18 years of age.